The first leg of my long journey to Ontario began with a layover from Manila to Taoyuan International Airport in Taipei. 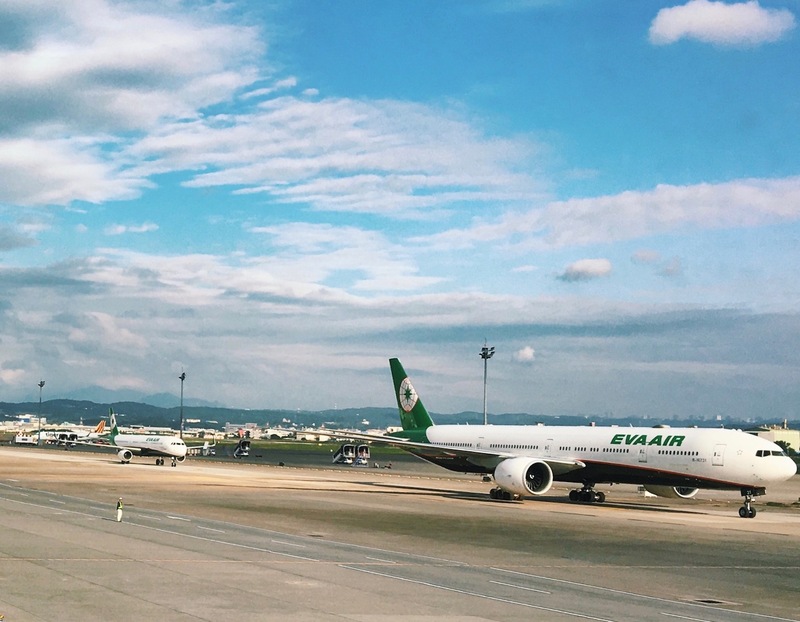 I had such good experience flying with EVA Air (mainly because they served good food) that I was still full and high with energy when I arrived. After doing some research, I realized the 4.40 hr layover wasn't enough for me to get out of the airport and do some decent exploring. Fortunately, Taoyuan International Airport is wonderful. 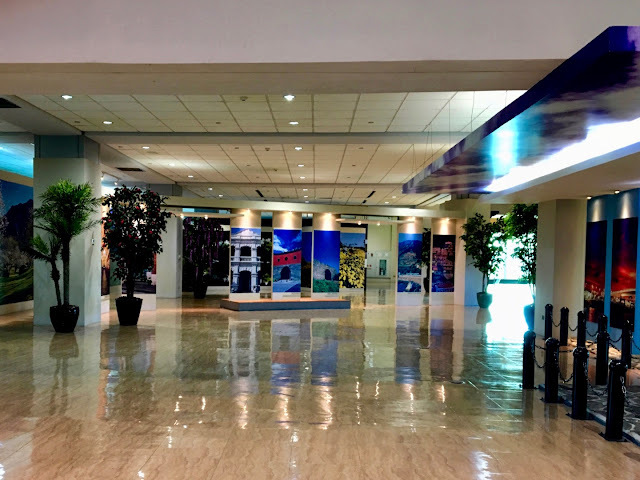 Easy to navigate, it has plenty of facilities to entertain travelers with long layovers. There's free wifi too in the entire airport, making it easier to pass the time. When I reached Taipei, I didn't have to go through immigration or pick up my luggage. I thought I'd be bored with all the free time I had but I got so engrossed looking around and trying out things that I ended up having to rush to my boarding gate for my next flight! 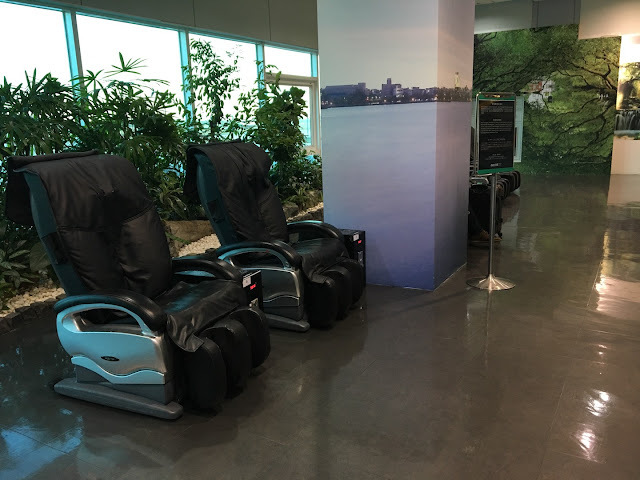 Our flight from EVA Air landed at Terminal 2 and thankfully, it was also where I was taking my next flight to Toronto Pearson airport. Aside from the free massage, there are also rest areas with comfortable lounge chairs where you can sleep or charge your gadgets. Just be mindful of your belongings. 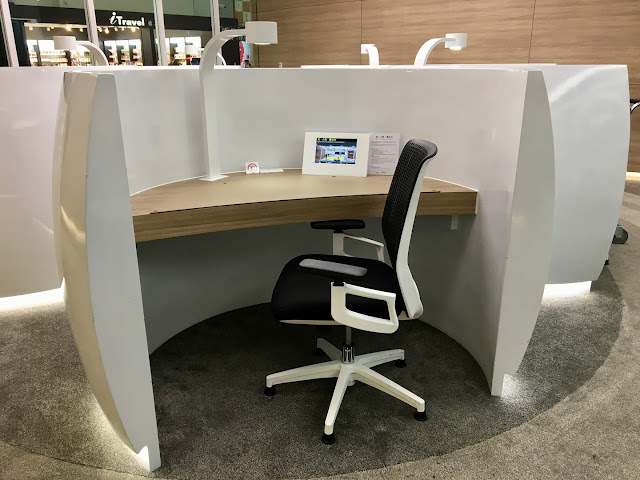 What I found really cool were these workstation pods which are located beside the airport library. I sat down and just browsed on my phone. The seat was so comfortable! Workstations beside the airport library. 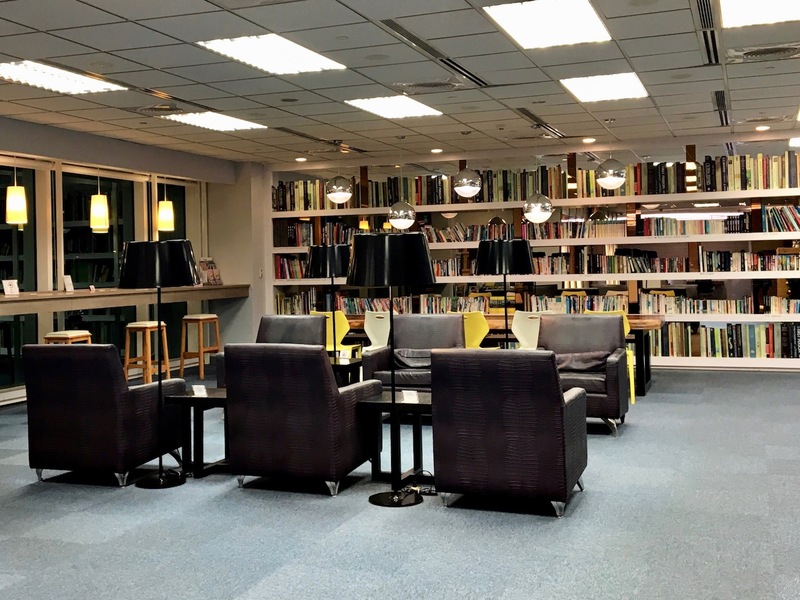 You can stay here for free and try the different types of lighting for relaxing, studying, etc. The lighting does have an effect on the eyes. It's pretty cool! The library's near D2 boarding gate but I didn't have enough time to sit and browse through its selections. Aside from these facilities, you can also take a shower, go on a food trip, do some shopping (there are money changers and ATMs at the departure area) and even play video games. To locate the airport facilities, click here for a passengers guide map of Terminal 2 Taoyuan International airport. I booked my flight to Toronto Pearson Airport via the Traveloka mobile app just because the interface is so much simpler. I can even select my seats with it. I didn't get my voucher until the next day but after contacting customer support, I received it right away so I was happy with it. After booking via the Traveloka app, I double checked my booking through EVA Air website and it was there. :) Easy! Traveloka's still one of my favorite travel apps. 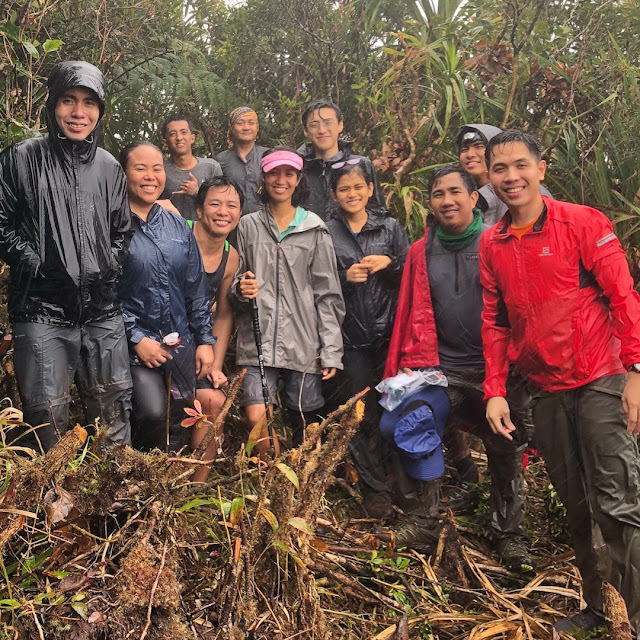 Despite the rain, I felt sleepy and sluggish up until we got to the second hour of our hike. 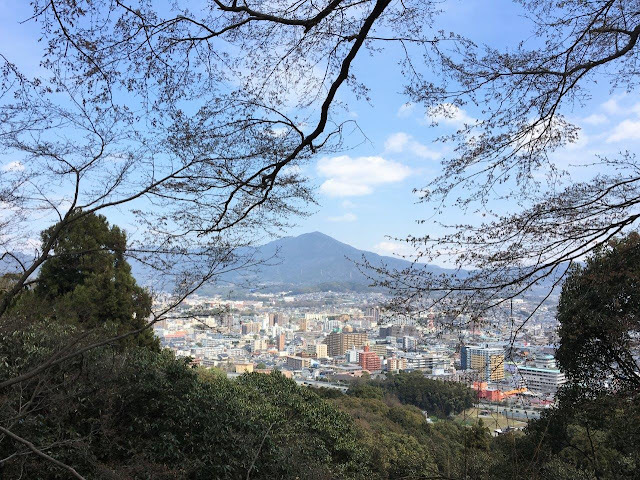 After being on the road for 5 hours the night before, the lack of a proper sleep had taken its toll, even the fresh mountain air couldn't wake me up. Thankfully, the first part of the trail from Brgy. Ditumabo, was easy. It was flat though very muddy. 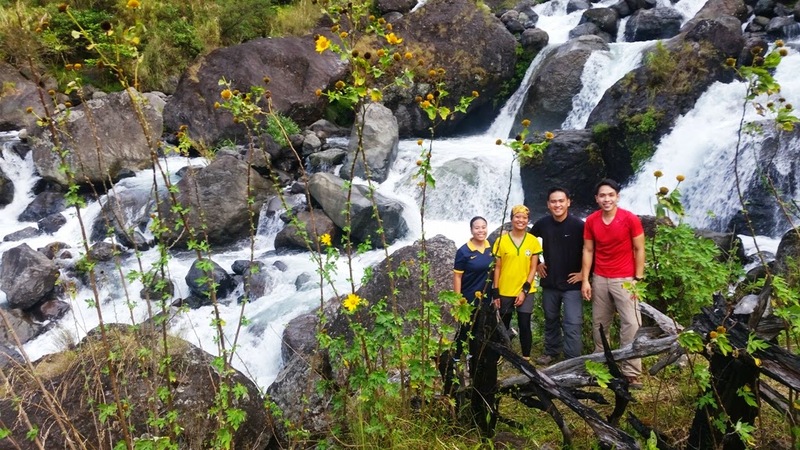 The same barangay serves as the jump-off to visitors going to Mother falls, a major attraction for people visiting the nearby municipality of Baler. Popular as a surf spot with plenty of restaurants around it, I toyed with the idea of staying behind to relax and enjoy the sea. But being a loyal lover, I had chosen the mountains again for the nth time. The rain that welcomed us at the start of the hike accompanied us on our way up the mountain, making it uncomfortably cold. After the flat terrain, it became steeper and narrower. I was wet, both from the rain and sweat. I brushed countless times on plants along the the trail but I don't mind. The thick forest was enjoyable. Though rainwater had made it slippery, there were lots of branches to hold on to making the hike up quite manageable. There were limatiks (leeches) present too but since I stayed at the back of the pack, I only had limited encounters with the blood suckers. Before we know it, we had gotten through 6 hours of the hike. We had a quick lunch at the campsite, about 40 minutes away from the summit. While we were gorging on food, other insects (niknik) feasted on us. These insects have the most annoying bite. Itchy and painful on the skin, its bites can cause scarring. Good thing, it can be driven away with insect repellent. 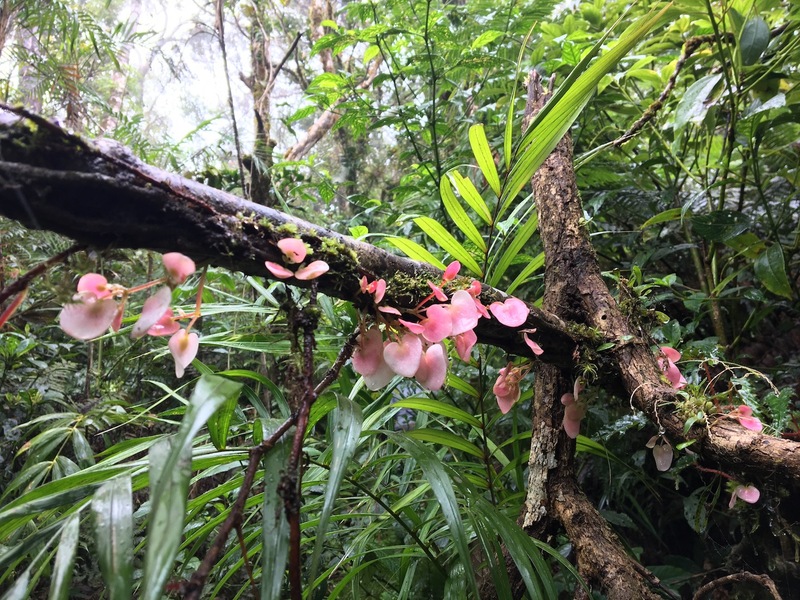 While the fog had obscured the views at the summit, we were entertained by the plant life around us. The mountain is more or less 1,595 MASL tall and we hardly noticed the long hike to its peak. 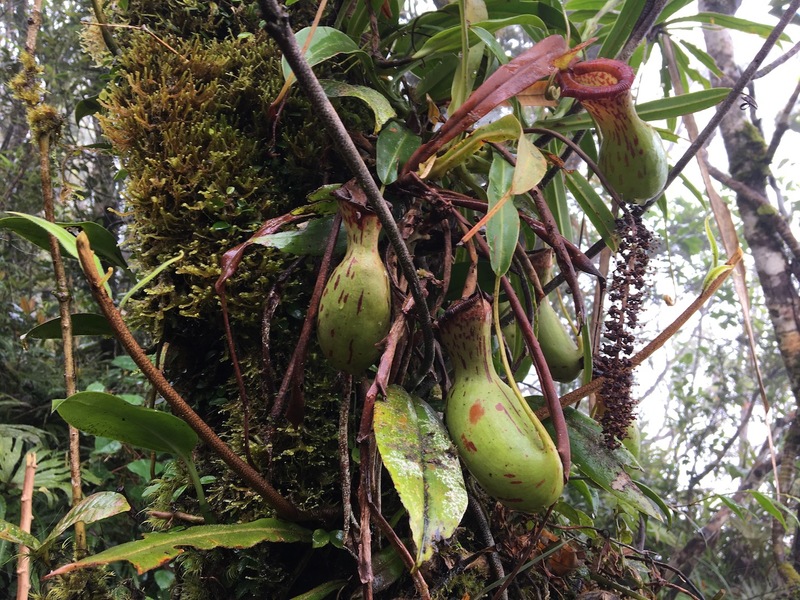 Passing a mossy forest, we saw orchids, pitcher plants with a wide base and other wild flowers. Going back down the same way was actually more challenging and longer. We had to be careful with the muddy and slippery trail. We finished the hike in 13 hours and celebrated with a nice meal at Bayler View Restaurant in Baler. Summit shot. Photo from Gideon Lasco. The mountain's jump-off is in Brgy. Ditumabo, San Luis, Aurora. To hike this mountain, go to barangay hall and inquire for guides. A day hike takes about 13 hours, out and back but it may vary depending on the group's pace. Limatiks are present along the mossy forest section. As mentioned above, there are also nikniks at the campsite near the summit. There are no water sources in the middle of the trail. You need to bring enough (I brought 2.5 liters) hydration for your hike. 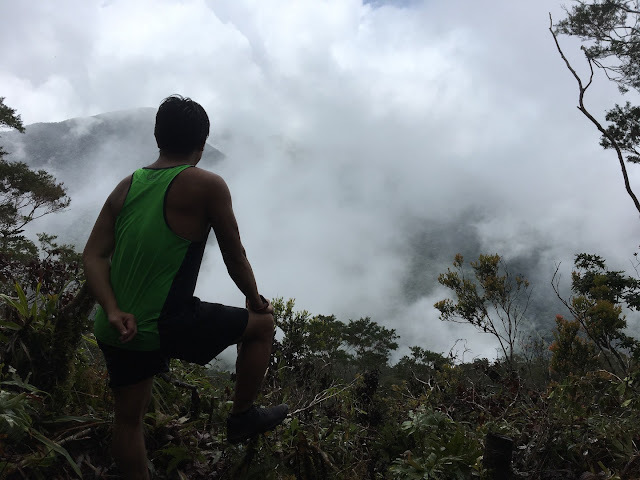 My friend Gid has also posted his blog about our hike on Pinoy Mountaineer | Hiking matters #585. 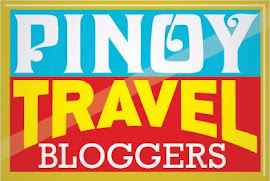 On this 3 day trip to Samar, I joined fellow bloggers in trekking, caving and riding boats that passed scenic riversides. 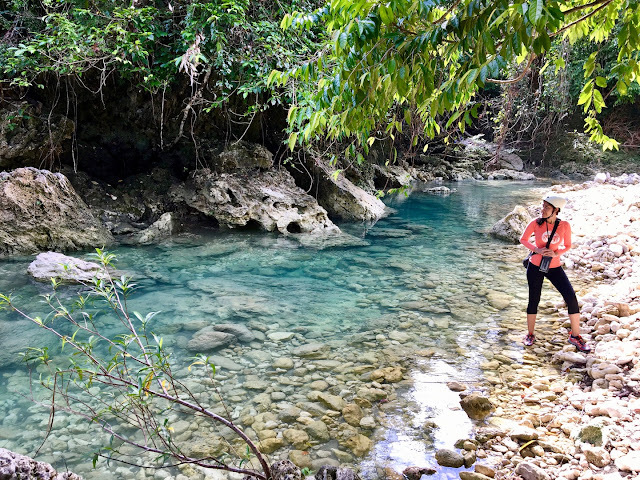 Samar offers raw adventures in vibrant forests that are challenging, tiring and at times, nerve wrecking. If you’re that type of traveler who loves nature and don’t mind roughing it up, come and visit Samar! Here are some of the places you can explore in this beautiful province. 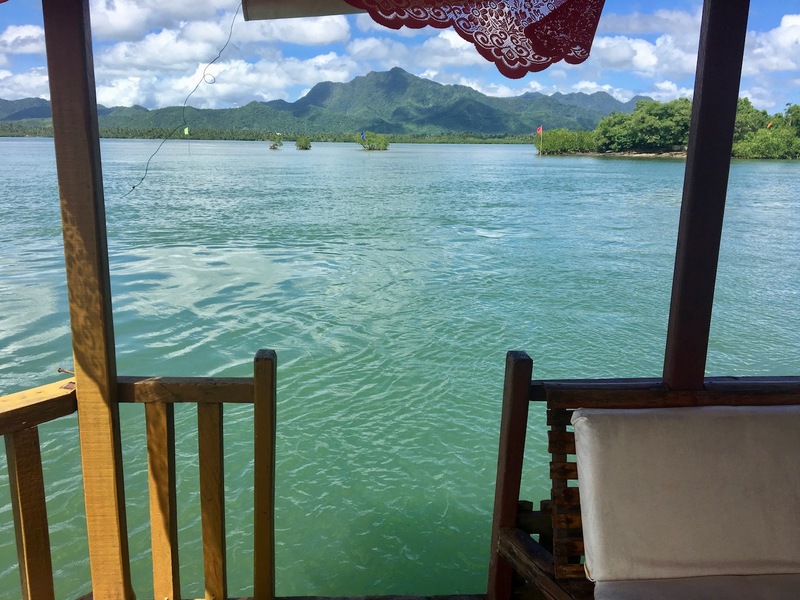 On this mild adventure, visitors can take a leisurely cruise along San Juanico strait and dine on a floating restaurant that offers a nice view of the iconic San Juanico bridge and its nearby islands. It also features a 400 meter boardwalk that passes a mangrove. Made of bamboo, the wood makes a rickety sound as you walk on it, adding a little thrill to your short walk. Wearing slippers is okay. Just watch your steps and enjoy the amazing plant life around you. 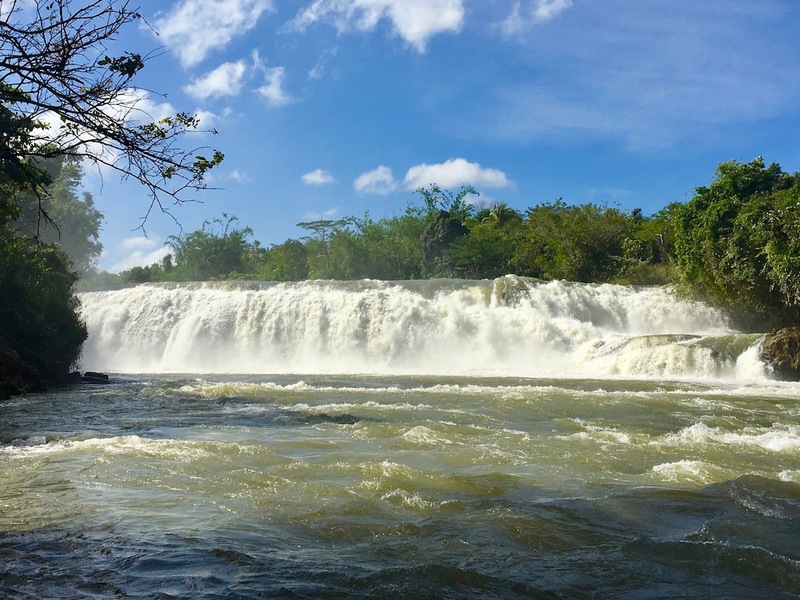 The fun starts with a river cruise or boat ride to the cave jump-off. The cave tour itself is easy and only gets tricky on some sections where you have to crouch or walk on slippery mud. Another highlight is the kayak ride to the natural bridge. When the current is too strong, there's no need to worry as guides can take care of the rowing and you can just sit back and relax. 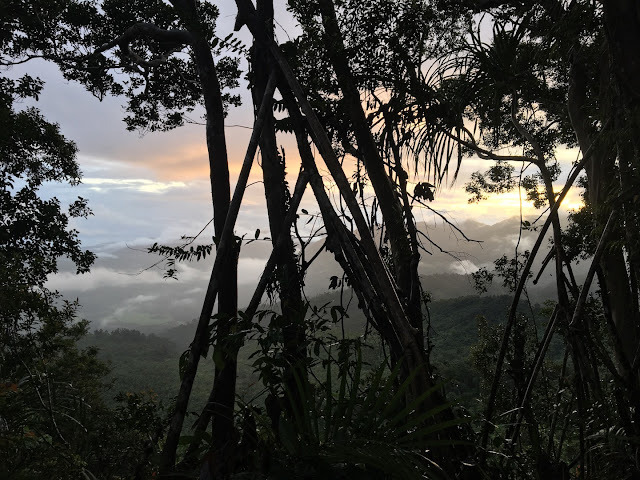 Located in a remote barangay in the mountains, the ride to get here - which is usually by motorbike is just as thrilling as the trek to the waterfalls. The hike is short, taking about 30 minutes on an established trail.During the rainy season however, the current is strong, making it very risky to swim. TORPEDO is an acronym for Tour Guides & Boat Operators for River Protection and Environmental Development Organization. Whew! 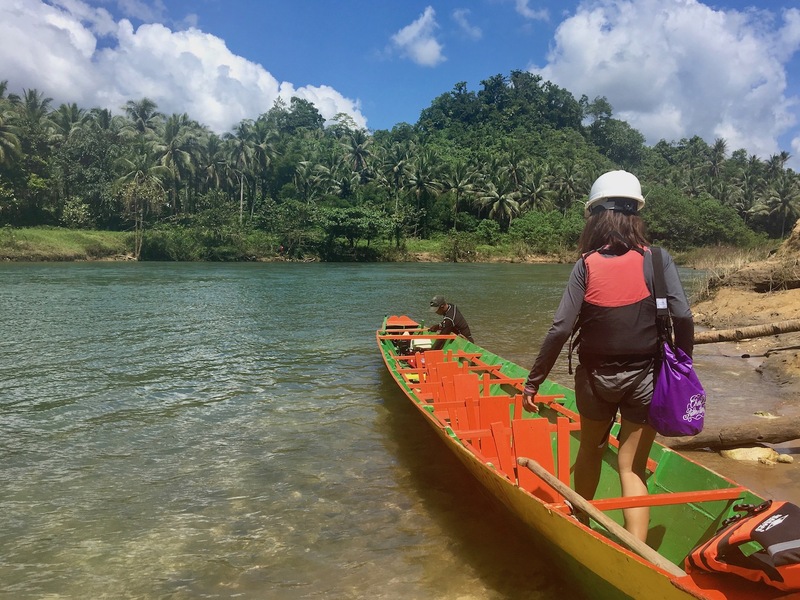 The real thrill however is the ride along Ulot river on a traditional boat. Having no outriggers, getting on the boat is both challenging and fun, with passengers needing to board one at a time to prevent the boat from tilting over. It takes 40 minutes to get to the jump site, an area surrounded by huge boulders. 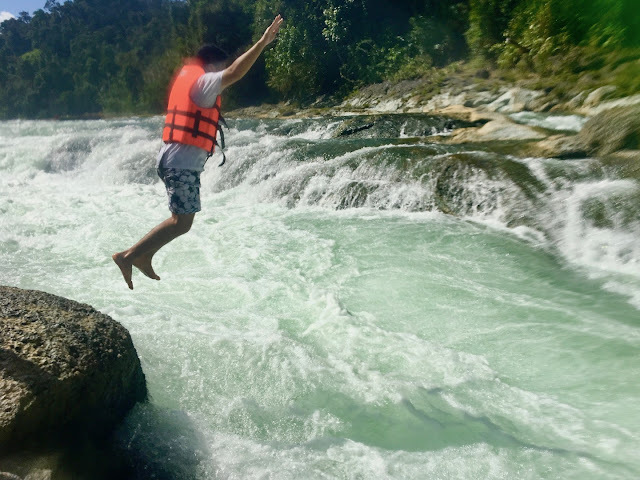 Here, visitors take turns jumping about 10-15 feet from a boulder and into the raging river. All visitors are required to wear life vest, making it possible for non-swimmers to participate in this exciting activity. This cave provides a nice challenge to visitors who want to level up their experience with caves. It begins with a 40 minute hike down a mountain trail to get to the mouth's cave. Inside the cave, you will be entertained with rock formations of various shapes, glittering stalactites and columns. This eye popping underground scenery however doesn't come easy. 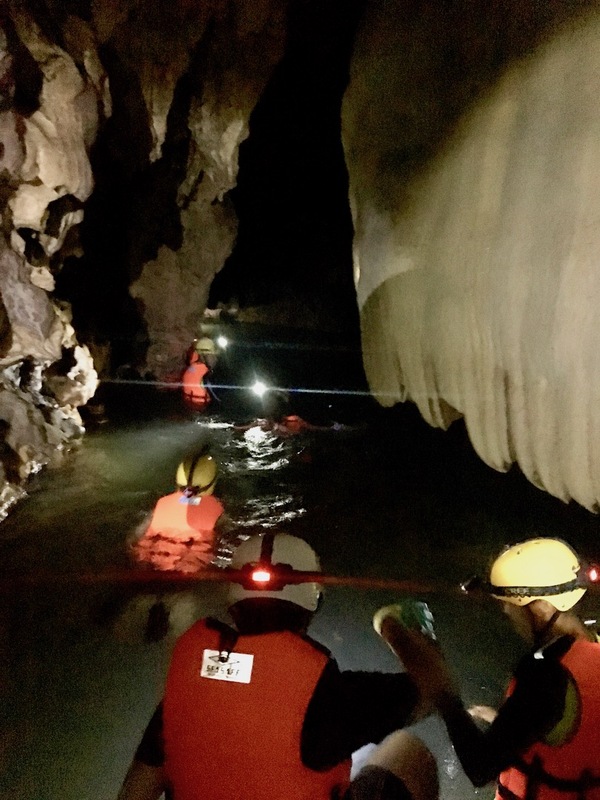 Expect to trek, climb on rock formations and swim inside the cave. It'll take about 7-8 hours to fully explore its passable sections. The easy way back is via Panaghoyan river where boats will transport you back to the town proper. 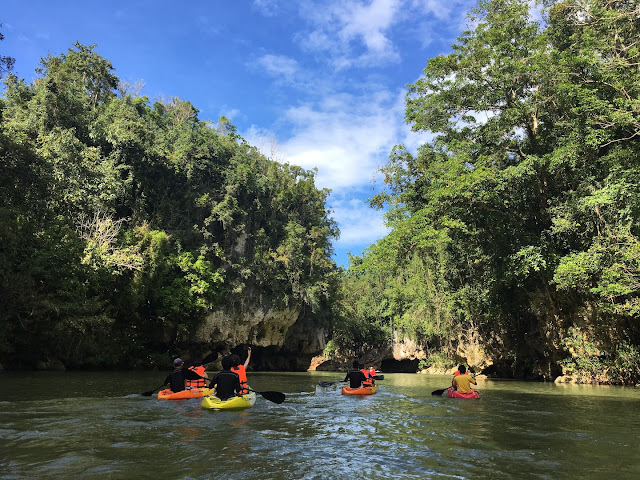 The ride is very scenic, passing by forests, more rock formations and a mangrove, a relaxing way to end an exciting caving adventure. See more of Lobo Cave here. Spend a night in Calbayog city. It's a good starting point if you're going to Lobo cave. *Budget will be dependent on number of heads, transportation used. 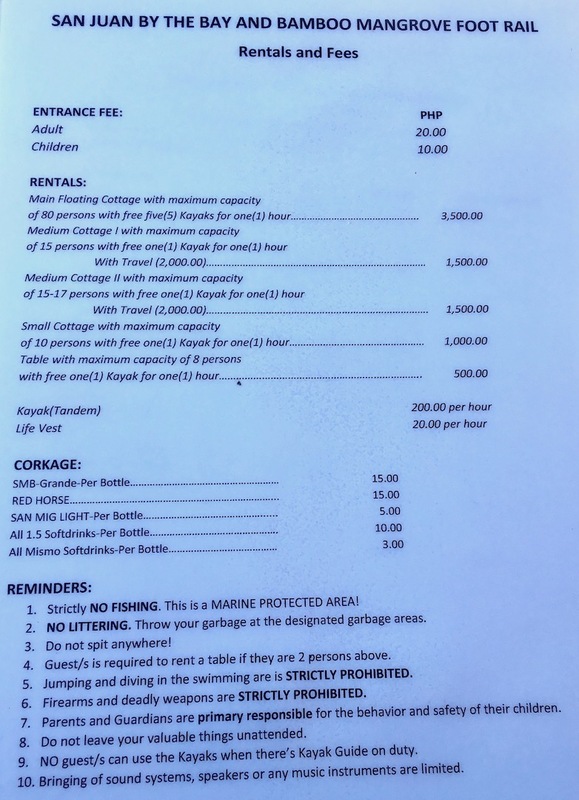 Though there's an airport in Catarman (Northern Samar) and in Calbayog, a cheaper and convenient way to get here from Manila is to fly to Tacloban, in the nearby province of Leyte. It has more flights coming from Manila and there's regular transportation going to Calbayog, Samar. From Daniel Romualdez airport in Tacloban, take a jeep to downtown and ask to be dropped off at the van or bus terminal. It takes about two hours by van from Tacloban to Catbalogan. This trip was in collaboration with the group behind Spark Samar, the provincial tourism campaign of Samar. *Bambanti is Ilocano for "scarecrow", considered as a symbol of the diligence, creativity, resilience and vigilance of the Isabelenos. 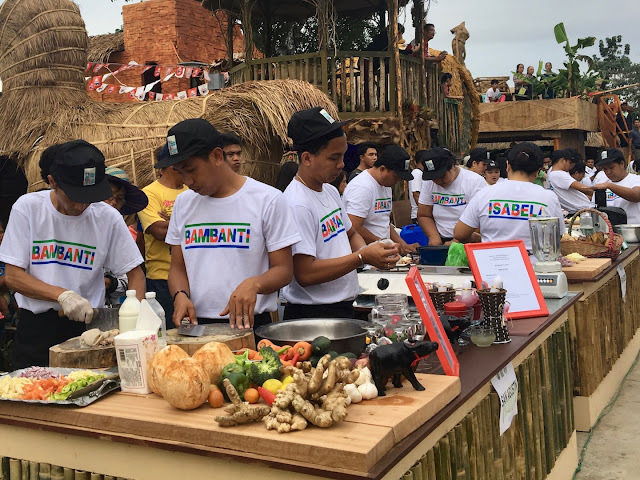 Celebrated this year from January 22 to 27 with the theme, "Isabela Kong Mahal", various competitions were held showcasing the talents of the Isabelenos and the province's top products. number of points from various winning competitions held during the festival week. 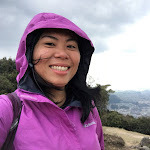 We stayed at JAPI Hotel, a roadside hotel in Cauayan City. Rooms are clean and comfortable. Click here for discounted rates. NOTE : I was invited to join this trip as part of the media team covering the Bambanti Festival 2018. In my travels, I've encountered fellow passengers who suffered from motion sickness. This condition can cause nausea, dizziness and even more challenging to handle, vomiting. While I've never had it as rough as the others, it has taught me to update my medicine kit and add Bonamine, the leading motion sickness brand in the country. To be honest, it's the only brand I'm familiar with that deals with this issue. 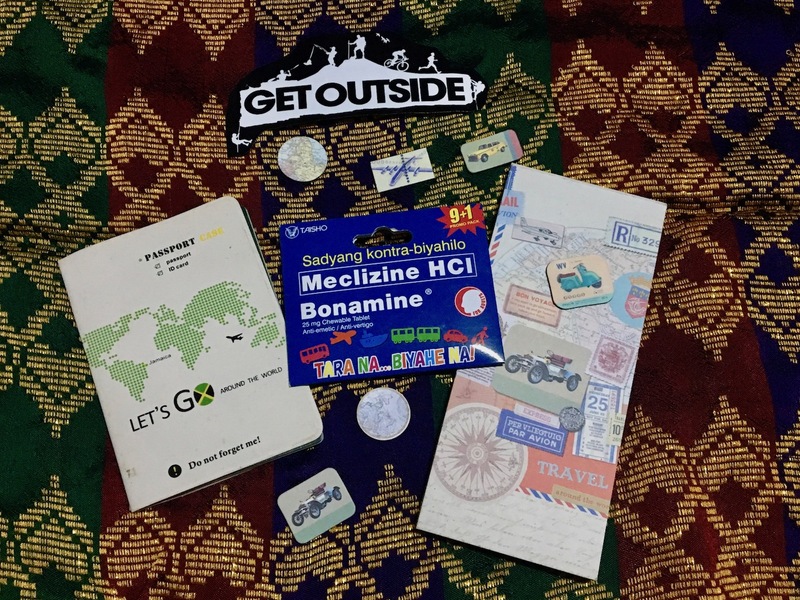 If you have a Facebook account and traveling in the next four months, Bonamine (Meclizine HCL) has something exciting for you! 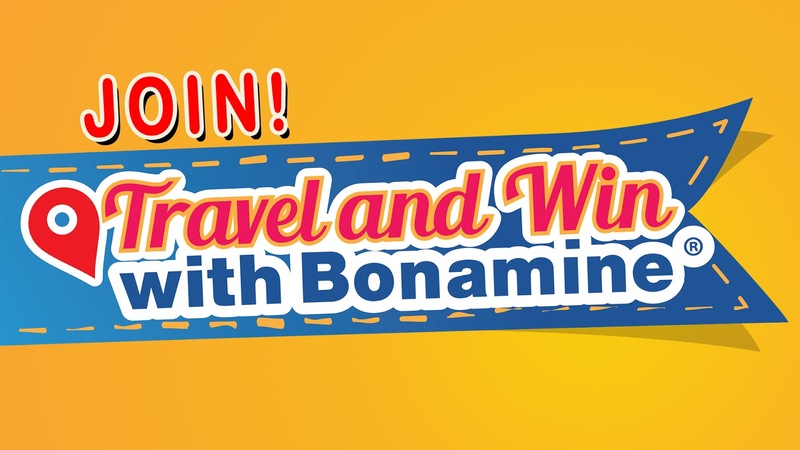 In the Travel and Win with Bonamine promo, participants get a chance to win hotel accommodations and a trip to Hong Kong for 4. 1. Take a selfie or groufie with a Bonamine Promo Pack. It costs 112.50 for a pack of 9+1 (25mg). You can easily find one at Mercury Drug or other drug stores. 2. Share your Bonamine enjoy-ang-biyahe experience. 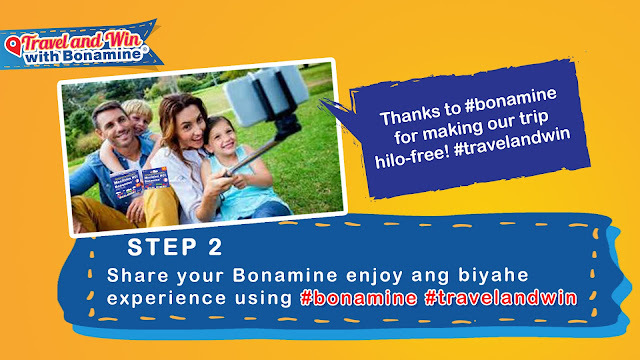 Post on your Facebook timeline (make sure it's a public post) and include a caption on how Bonamine made your trip fun & enjoyable. 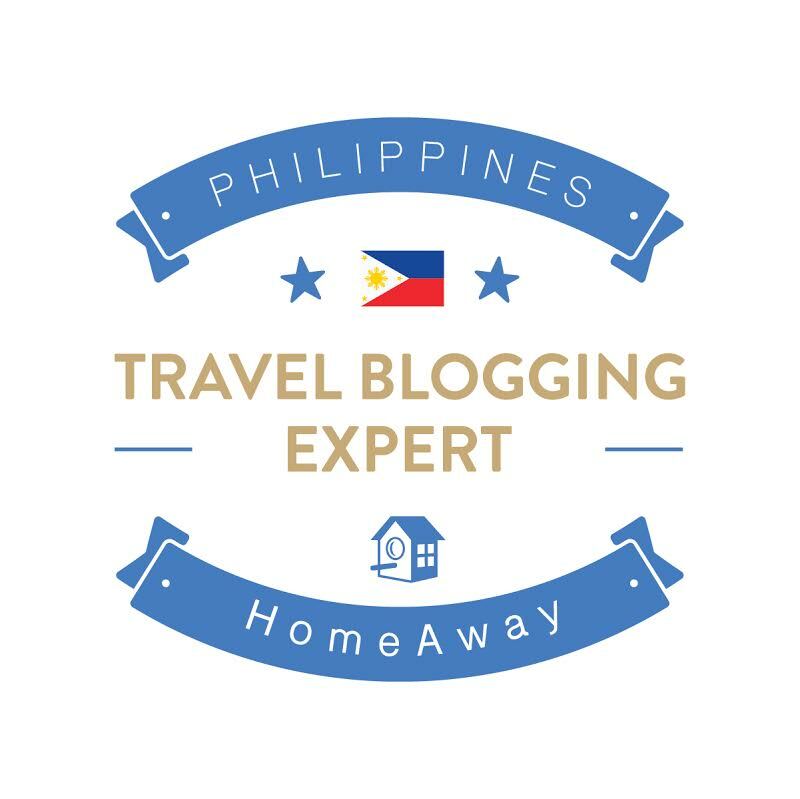 IMPORTANT: Like Bonamine Facebook Page and include the hashtags, #Bonamine and #Travelandwin promo hashtags in your entries. See sample below. March 1 to July 31, 2018. Winners will be announced on the Bonamine Facebook Page on August 17, 2018. The organizer reserves the right to amend the promo period at any time. 3. Prizes are non-transferable and not convertible to cash. Winner can only win once during the promo. 4. Winning entries will be posted on the Bonamine PH Facebook page and will be notified through their Facebook account. 5. Winners may claim their prizes at Taisho Pharmaceuticals (Philippines) Inc. office in Taguig. Provincial winners will be notified on the venue to claim their prizes. 6. Winners must present two (2) valid ID’s to claim their prize. 7. If a winner fails to claim his/her prize within 60 days from receipt of notification, the prize will be forfeited. 8. All employees of Taisho Pharmaceuticals and its partner agencies, Pharmalink, Zuellig Pharma Corporation, Obedience Manpower and their relatives up to second degree of affinity or consanguinity are disqualified from joining the promo. - Bonamine should be taken one hour before a trip to address motion sickness. Avoid Bonamine if you're driving as it can cause drowsiness. Click here for tips on how to prevent motion sickness. Bonamine is a product of Taisho Pharmaceuticals Philippines Inc.